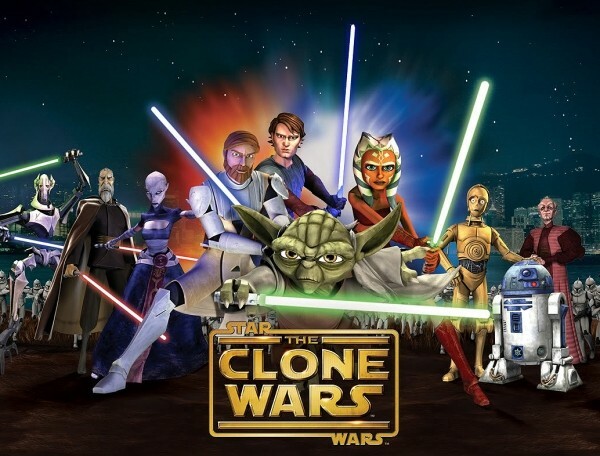 For anyone who has been following this space, or my ramblings online, you’ll know that I’m of the opinion that Star Wars: The Clone Wars is—well, was—one of the best shows on television. It told bold, ambitious stories in increasingly mature and artistic ways. It added layers of depth to the Star Wars saga as a whole, and made Anakin Skywalker’s descent to the Dark Side deeper and more layered, adding new meaning and shades of gray to the films. After five seasons, though, the quality of The Clone Wars and the love of the show’s fans couldn’t save it from the changes brought on by Disney’s acquisition of Lucasfilm. Disney has decided to move Star Wars in a different direction, and that put The Clone Wars on the chopping block. Sure, we’ll still be seeing it for a little while longer, as they’ve promised to release the rest of the produced episodes as “bonus content” somehow. But it seems as though this might be the latest move illustrative of Disney’s potential desire to wipe the past 15 years of Star Wars from our collective memories as it gets ready to focus the series on new, uncharted (on film) territory, set in the days after Return of the Jedi. Another series that is being scrubbed from sight is Star Wars: Detours, the comedy show masterminded by Seth Green and Matt Senreich, the gentlemen behind Robot Chicken. Though Disney promises we’ll see it at a later date sometime, the teaser content from the show that’s been released over the past year has all but disappeared. The cancellation of the 3-D re-releases of Attack of the Clones and Revenge of the Sith tells a larger story. It’s my belief that Disney is working hard to create a drought of Star Wars content between now and the planned release of Episode VII in 2015, underestimating the always-present thirst of Star Wars fans and their desire for more. Whatever Disney’s reasoning behind these decisions, many Star Wars fans have begun to despair of the House of Mouse and its treatment of the house that Lucas built. And those fans have a right to be disappointed by some of the decisions. The Clone Wars was a point of entry for many young fans, and added a dimension to the prequels that forced many former vocal opponents of those films into becoming mild defenders—or, at the very least, ambivalent spectators. But there is no reason to lose heart. Despite the fact that Star Wars as we know it currently is going away, the things we love about Star Wars right now aren’t going to change. And in less than three years, we’re going to get a seventh Star Wars film helmed by J.J. Abrams. Buried in the press release announcing the new direction in the animation department was a nugget about a new show. Though nothing is confirmed, signs point to the supervising director of The Clone Wars, Dave Filoni, being at the helm of that new show, leaving us in good hands indeed. More Star Wars is on the way. New directions aren’t inherently bad things. As Master Yoda said in Revenge of the Sith, “Rejoice for those around you who transform into the Force. Mourn them, do not. Miss them, do not.” We should rejoice about the fact that we’ve been shown these windows into unknown realms of the Star Wars universe in the first place, and be grateful we have them to relive at our leisure. I have a feeling these next installments of Star Wars, both on the big and small screen, are going to allow us to fall in love with the franchise all over again. And how can that ever be a bad thing?